The zombie menace invades the Alterna-Verse in this FCBD exclusive! 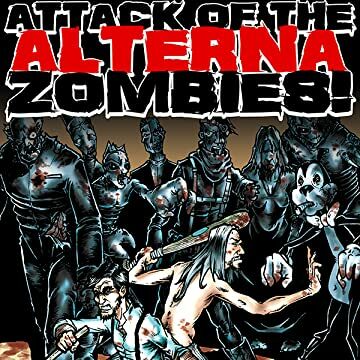 Alterna Comics characters have turned into zombies and it's up to Jesus and Lincoln to defeat them and restore normality to their world. 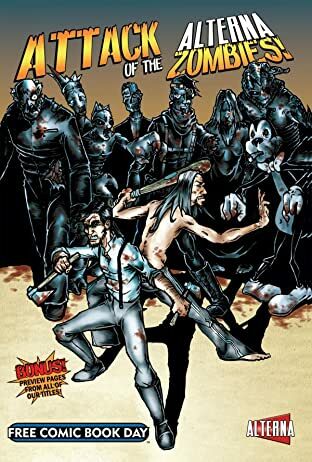 Features a brand-new original story written by Stephen Lindsay (Jesus Hates Zombies) and a knock-out cover by Michael S. Bracco (Birth, Novo). BONUS: Preview pages of every Alterna Comics title fills out the pages of this must-have FCBD edition!